Hearts midfielder Anthony McDonald has joined Inverness Caledonian Thistle on loan until the end of the season. 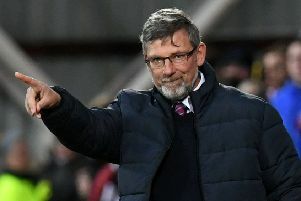 The 17-year-old, who has made 20 appearances in a maroon shirt, will link up with Caley boss and Hearts legend John Robertson at the Championship club. McDonald has featured just seven times for Hearts this term and will be keen to make an impact with the Highlanders.